This website is for information purposes only. This information is not intended for use without professional advice. You rely on the information at your own risk. Http://www.scearpdigital.co.za accepts no liability and shall have no liability of whatever nature in respect of any claim, damages, loss or expense, whether direct or indirect including consequential loss or loss of profit, arising out of or in connection with the reliance by you, the browser, on the contents of this website, or of the products and services described herein. The user agrees to submit exclusively to the law of the Republic of South Africa and the jurisdiction of the courts of the Republic of South Africa in respect of any dispute arising out of use of the website. The material available on this web site is designed to provide general information only. Whilst every effort has been made to ensure that the information provided is accurate, it does not constitute professional advice. By entering and registering on the site you will be deemed to have agreed to this disclaimer and to have released and discharged the Scearpsoft Online (hereafter referred to as ‘SD’) from all liability which might arise, including liability in respect of any defamatory material on any data base or in respect of any dealings with any work (including software) in which you hold any copyright or other intellectual property right. Intellectual property rights and restrictions on use. The web sites consist of contents, which are derived entirely or in part from content supplied by ‘SD’ and other sources. The said contents are protected under applicable South African Intellectual Property laws, and applicable International Intellectual Property laws and conventions. The user is also strictly prohibited from creating works, and/or software derived from or which are based on the contents found on this web site. The prohibition applies regardless of whether the content are sold, negotiated or given away and/or further alienated in any manner whatsoever. 5. When using the said information for any financial purposes, ‘SD’ advises the user to consult a qualified professional. The user acknowledges and confirms ‘SD’ indemnity to, include but not limited to, indirect, direct, incidental, special, consequential or punitive damages arising from the use of or inability to use ‘SD’ web sites. The user acknowledges that the provisions of this paragraph shall apply to all the contents of ‘SD’ web site. The information contained in this web site has been prepared specifically for the purpose of providing information about ‘SD’, its divisions and the services that they offer. It does not constitute any offers unless specifically indicated and must not be relied upon in connection with any investment decision. The disclaimer of liability applies to damages or injury, including but not limited to, indirect, direct, incidental, special, consequential or punitive damages or any damages whatsoever arising from use or loss of use of information or of profits, whether in breach of agreement, delictual action, negligence, or under any other cause of action. Whilst every effort has been made by ‘SD’ and its suppliers of information to ensure the accuracy of the information on this web site, ‘SD’ makes no representations or warranties, whether express or implied, and assumes no liability or responsibility for the accuracy or completeness of any information contained on this web site. ‘SD’ may at any time revise these terms and conditions by updating the postings. The user is bound by such revisions and should therefore periodically visit this agreement to review the then current terms and conditions to which the user is bound. ‘SD’ shall have the exclusive right to at any time change or discontinue any aspect or feature of ‘SD’ web site. The use of or access to these web sites constitutes the users acceptance of terms and conditions hereof, which are binding on the user and take effect on a date which the user first makes use of, or access to the ‘SD’ web site. If the user does not accept all the terms and conditions in full, the user must exit the web site immediately. ‘SD’ has the sole discretion to terminate this agreement at any time. “The content of this email and all the attachments thereto (“this message”) does not necessarily reflect the views of https://www.scearpdigital.co.za. Before acting on the content thereof, the recipient should verify that the originator has the appropriate delegated authority. In the event that this message has not been appropriately authorised in terms of https://www.scearpdigital.co.za delegation of authority, or in the event of the personal usage of https://www.scearpdigital.co.za’s e-mail facility, https://www.scearpdigital.co.za will not be liable for the contents of the message. This message may contain information, which is confidential, private or privileged in nature and subject to legal privilege. If you are not the intended recipient, you may not peruse, use, disseminate, distribute or copy this message or its attachments and please notify the sender immediately by e-mail, facsimile or telephone and thereafter return and/or destroy the original message; Please note that the recipient must scan this e-mail and any attachments for viruses and the like. 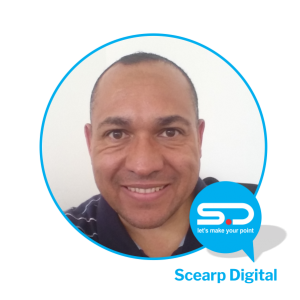 Http://www.scearpdigital.co.za accepts no liability, damage or expense resulting directly or indirectly from the access of any attachments.